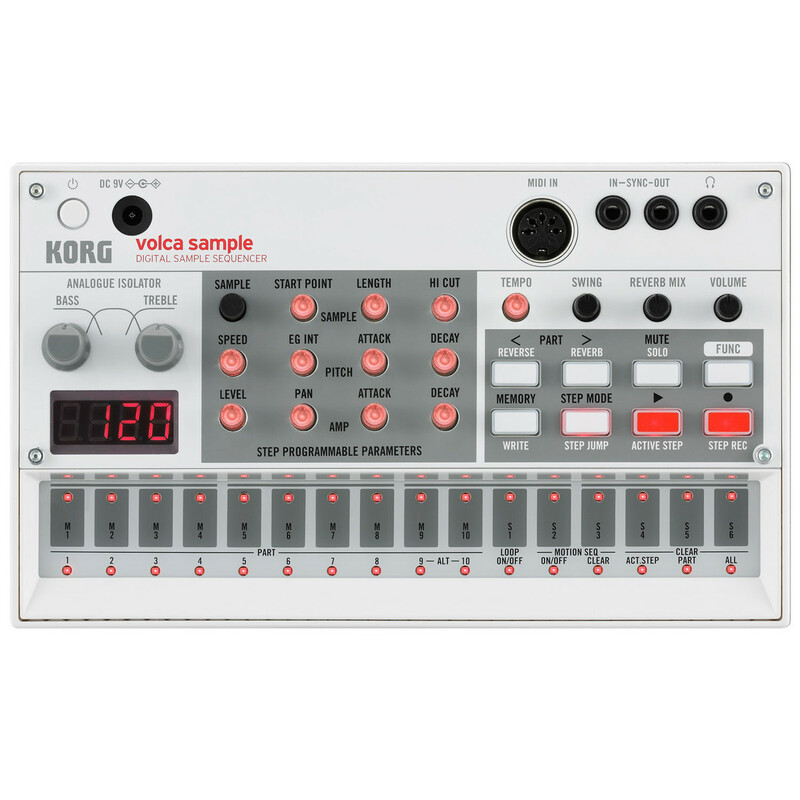 The Korg Volca Sample is a digital sample sequencer that lets you tweak, play and sequence samples in this all in one performance unit. Edit and sequence up to 100 sample sounds in real time. Add it to your existing volca set-up or use alone. Vocals, spoken words, ambient sounds, or glitches - everything becomes material for your creations! This fun sequencer has huge potential for performance and improvising. The step sequencer is designed for ease of editing and to allow parts to be inserted or removed on the fly. Use the 16 step keys to enter notes intuitively while maintaining visual confirmation of the timing of the notes in a measure. You can also record your performance in real time. Up to ten of the sequence patterns you create can be stored in internal memory. The motion sequencer records and plays back up to 11 parameters. The motion sequence function records your knob movements, letting you add time-varying change to the sound. This is a great way to polish your loops, and also lets you generate highly original live performances. The volca sample is able to record all knob movements that are related to sound editing. This allows sophisticated editing that had been impossible for hardware samplers of this category. Active Step and Step Jump functions let you insert and remove steps. The Active Step function lets you skip steps during the sequence, and the Step Jump function lets you instantly play just the step that you're pressing. From short-loop effects to unimaginably irregular rhythms, these functions allow dynamic performances as though you were performing the sequence itself. The Swing function adjusts the swing playback position, generating the distinctive groove of dance music styles such as hip-hop. As appropriate for the character of your song, you can shift between rushing and dragging the beat. The Analog Isolator provides powerful and great-sounding possibilities. 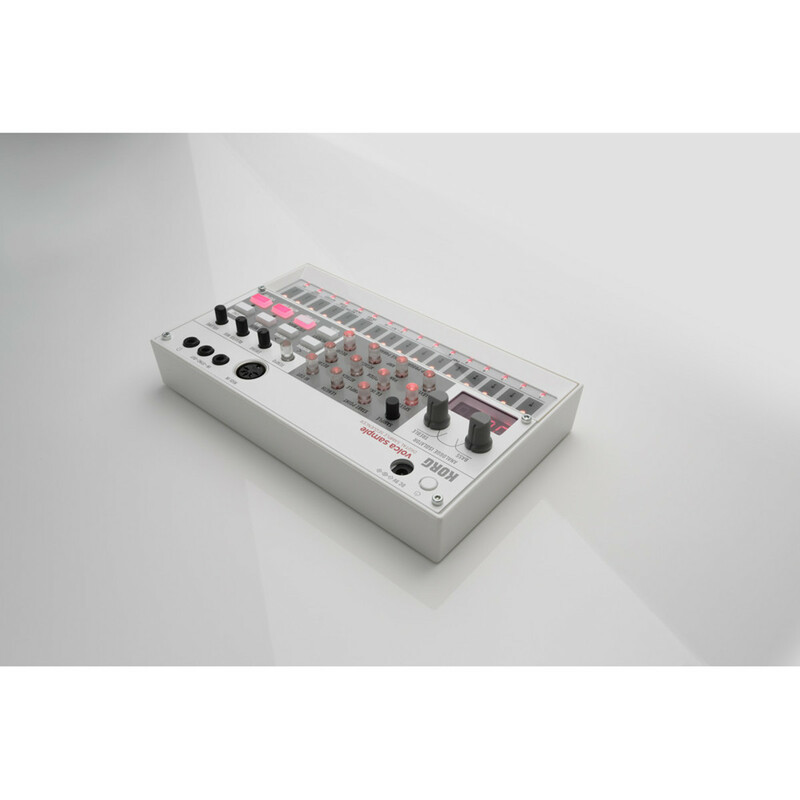 Volca sample features a frequency isolator, which has become a powerful tool in the creation of numerous electronic genres. This lets you apply powerful changes to the sound and create development and breaks by boosting or cutting the low/high ranges. The isolator is implemented as an analog circuit, ensuring thick sound even in the flat position. The built-in reverb effect can be switched on/off for each part. The isolator and reverb can be used together, enhancing your live performance with possibilities such as cutting the low range and letting it fly. The Volca Sample has a number of unique samples. In addition to the 100 preloaded samples, you can use a dedicated, free iOS app to load your very own original user samples. Audio files on your iPhone or iPad or ambient sounds recorded with the app, can be used as samples. In a first for the volca series, a Song mode is featured. You can save up to six song patterns, each combining up to 16 sequences. 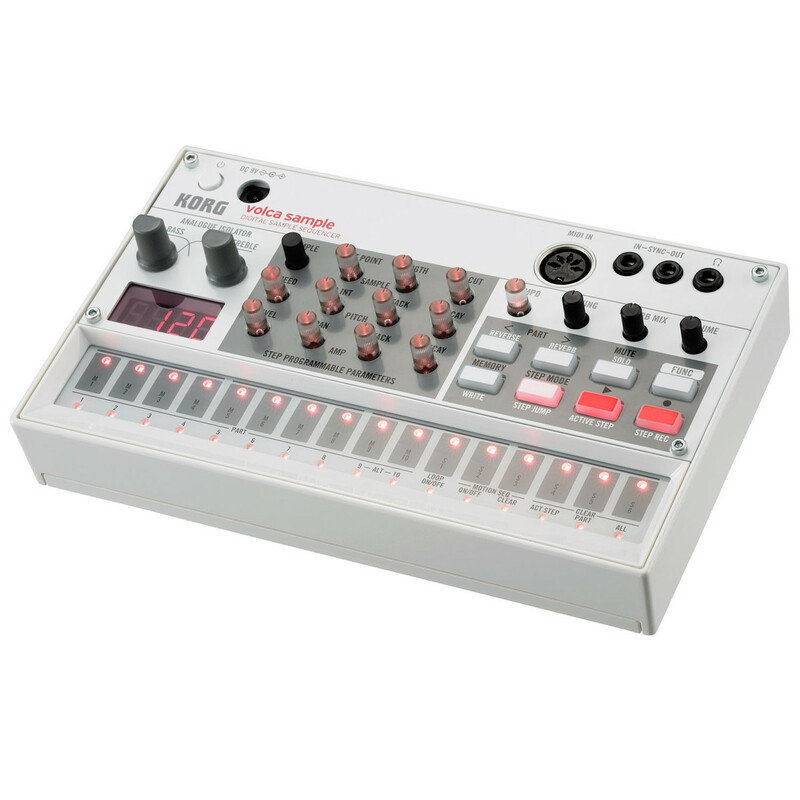 This enables performance possibilities that are unique to the volca sample with its ability to play a diverse range of samples; for example you could play back together with another synchronised volca unit while dramatically changing the rhythm pattern of the volca sample. A sample reverse playback that's indispensable for hip-hop is provided, and you can turn it on/off independently for each part. 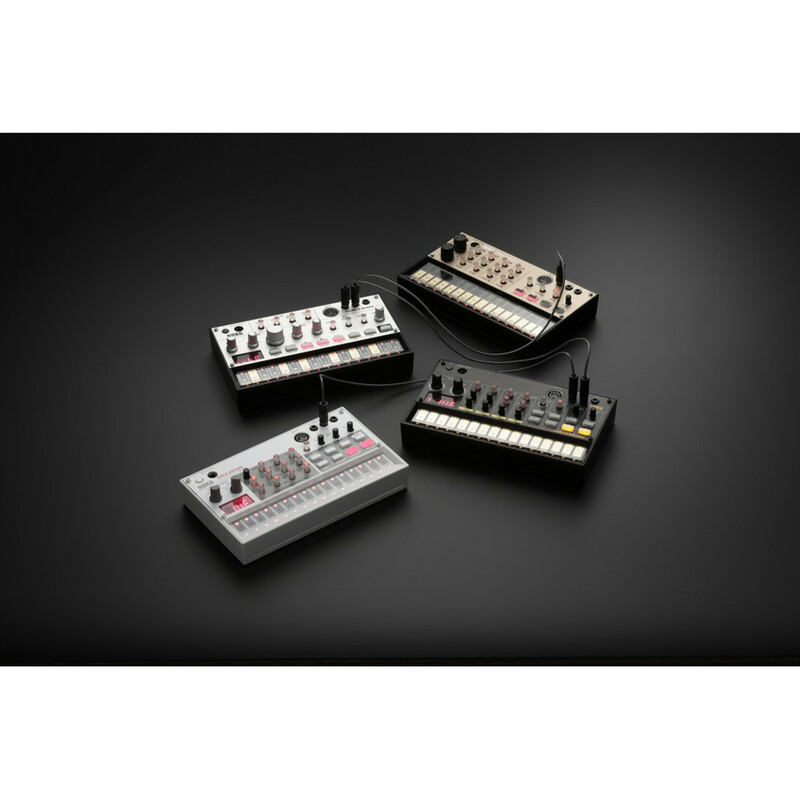 There are also a number of convenient functions that will be familiar to volca users. 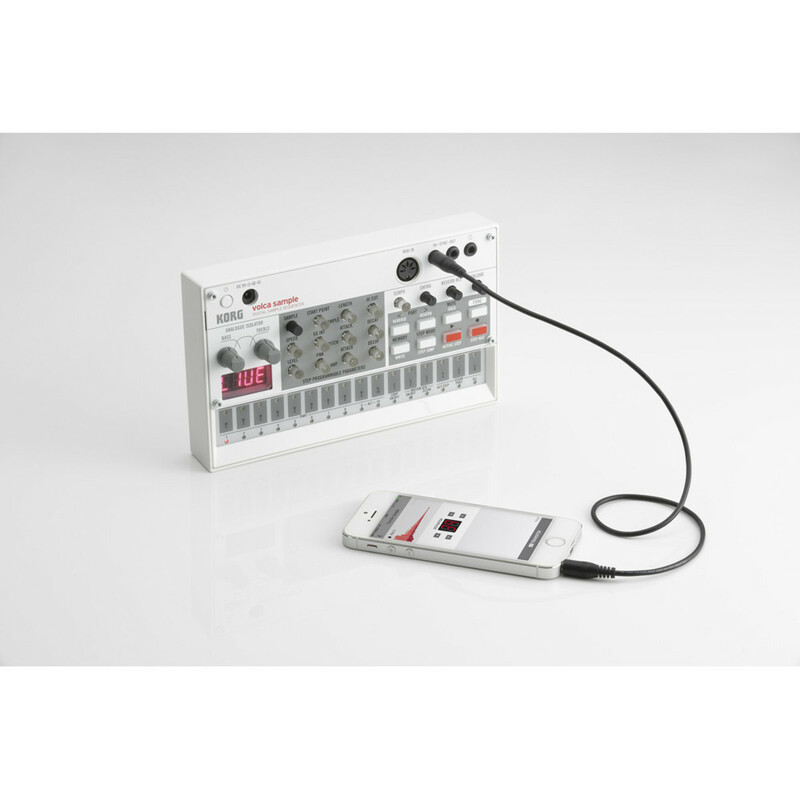 By using the sync jack you can synchronize the playback with another volca or electribe unit. You can also use the "SyncKontrol" iPhone app to control the tap tempo, and use the WIST functionality of an iOS music app such as KORG Gadget to allow wirelessly synchronized playback. The MIDI IN jack allows synchronisation with other devices as well as performance using a MIDI controller, and also lets you use the volca as a sound module by sending note messages from your DAW. With its compact size, battery operation, and built-in speaker, it's easy to take the volca anywhere and perform any time. Synchronized playback with other volca units, electribe, or DAW.